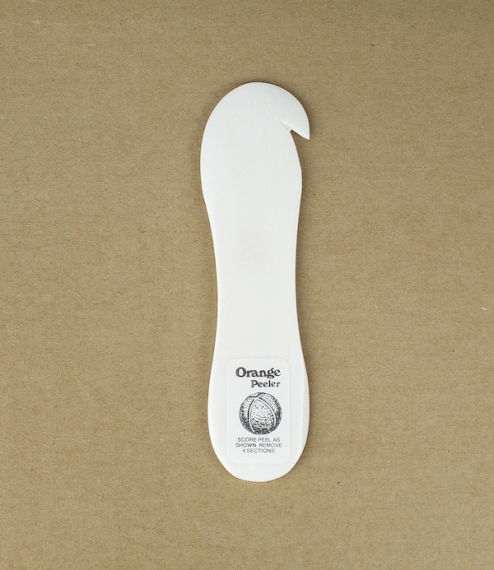 A simple but ingenious device to assist in the peeling of oranges. Cow-bone. The sharpened hook is used to score and cut the skin into four quarters which can then be prised from the flesh using the flattened rounded tip. Cut, shaped, and finished by hand and to a long established pattern, in Carnforth, Lancashire in the workshops of Britain's last remaining commercial horn-works.